This white paper takes a look at Video Commerce and the opportunity it presents to retailers. The paper will describe how a retailer can create and execute an effective and comprehensive Video Commerce Strategy, leveraging both TVPage and Oracle Commerce Cloud. Video commerce is the process of using video to influence the sale of a particular product or service. 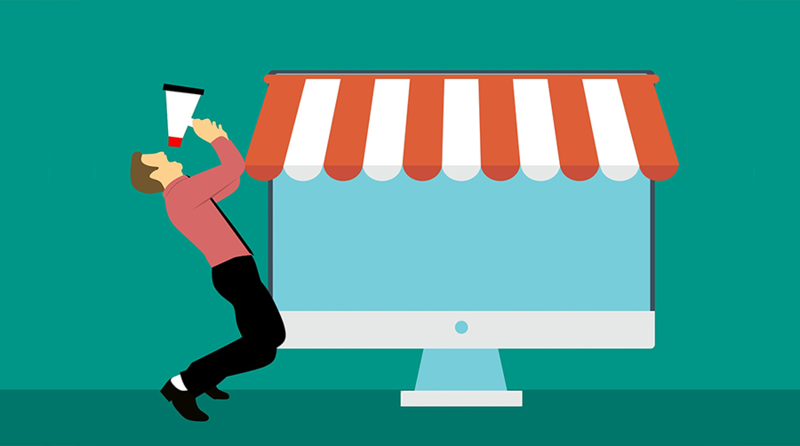 To leverage Video Commerce, you need a platform to support the ingest of content, creation of workflows and output of merchandised content, intelligently. 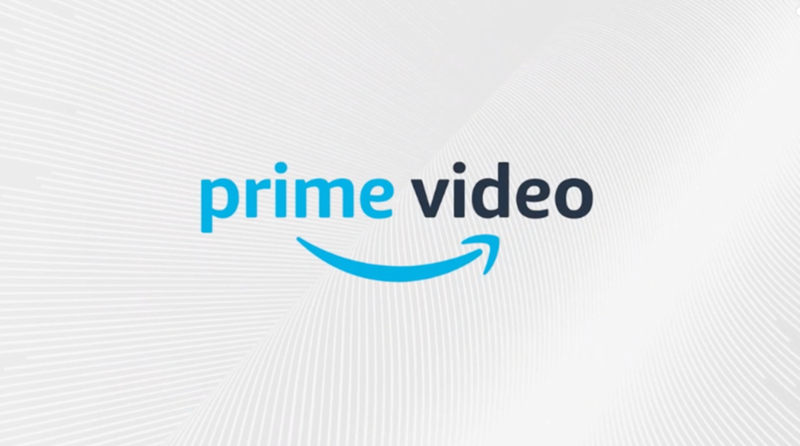 Amazon’s “video shorts” further validates the opportunity. The retail giant clearly understands the power of video content to drive engagement and sales. These are videos sourced from brands and media companies where product is displayed for purchase to the right of the video. This lets users watch a video and purchase the products that are related to the video. Savvy retailers must strongly consider adopting a video commerce strategy or risk further market share loss to the likes of Amazon. A similar concept was also recently launched on YouTube. As you watch a video, sponsored products are available for purchase through the YouTube “card” system. 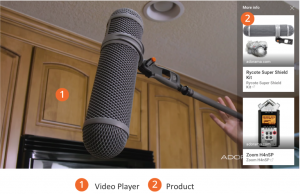 These examples highlight how major players are leveraging video for commerce. All retailers must adopt a video commerce strategy or risk losing the engagement of their customers. 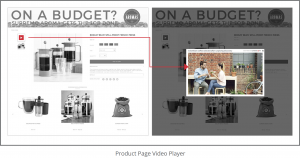 Through the TVPage Video Commerce Cloud integration with Oracle Commerce Cloud, it is possible to discover and connect with content creators in all industries. You can connect with the brands you sell or artists that you promote/sponsor, and manage content workflows from all such contributors. Create your proprietary network of content that you manage, control, and merchandise. As content comes in from any contributor, or is produced internally, it is merchandised in the cloud with the TVPage recommendation engine. 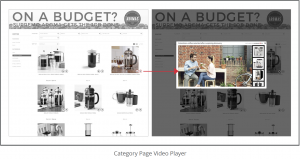 The illustration below shows how content is ingested into the TVPage Video Commerce Cloud, and products are then recommended for each video asset. Video Content, along with its relevant products and promotions, can then be made viewable on each of the pages noted above: Homepage, Category Page, Product Page, and TVPage. 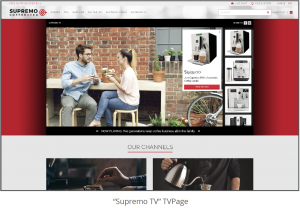 Recently, Bed Bath & Beyond, in its continued commitment to offer a rich, engaging customer experience online has leveraged both TVPage and Oracle Commerce to deploy Bed Bath & Beyond TV. 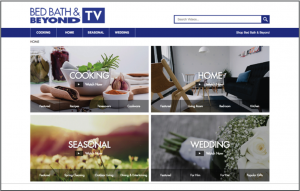 Bed Bath TV is a video-centric section on the Bed, Bath & Beyond site that educates and entertains their customers and community, creating new customers and increased engagement. The experience lets you discover content through video search and navigating into multiple categories within their top fun & informative channels – Cooking, Home, Seasonal, and Wedding. Each video triggers promotions and offers related products throughout a highly optimized video customer experience. 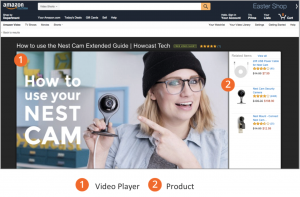 Other customers that have leveraged both TVPage and Oracle Commerce include Newegg, Tillys and AutoAnything, all generating newly found Video Commerce destinations that enable their consumers to engage with their brand and purchase through video. The process of deploying a sustainable video commerce strategy involves a tight workflow and you’ll need to be confident in your commerce platform’s ability to not only support video content, but offer the user tools to manage it effectively and intuitively. First, you must define how you will source video content. Videos can be sourced from influencers and brands that you sell or they can be produced internally or through an agency partner. Understanding where your content will come from can greatly influence the breadth of your video commerce deployment. Once you have established your content strategy, you must implement a workflow for moderation and merchandising of the video content. This is a critical step in the process to ensure that published video content meets your company and brand guidelines. Content that has been approved can then be merchandized by the TVPage Merchandising Engine, providing recommended product associations for each video asset. After the video content has passed moderation and merchandising, it can be published to numerous destinations on your website and social media pages. These on-site destinations include your TVPage, Homepage / Hero players, Category / Brand players, Integration with search results and dynamic display on product detail pages. This strategy enables you to deploy rich, engaging content at all stages of the purchase funnel. 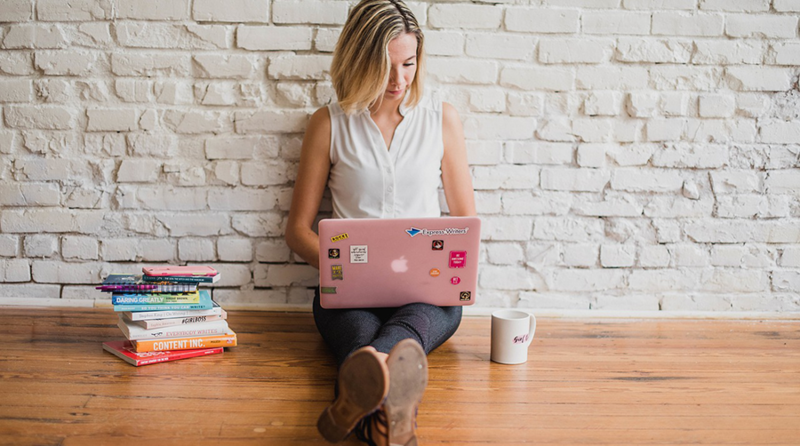 Additionally, content can also be published to social media (Facebook or Twitter for example), which creates a new inbound source of traffic to your controlled properties. The TVPage Video Commerce Cloud enables retailers to execute a complete video commerce strategy. The platform enables a retailer to manage, merchandise and publish any video content, leveraging vendor, influencer and internally produced content in a well-structured workflow. 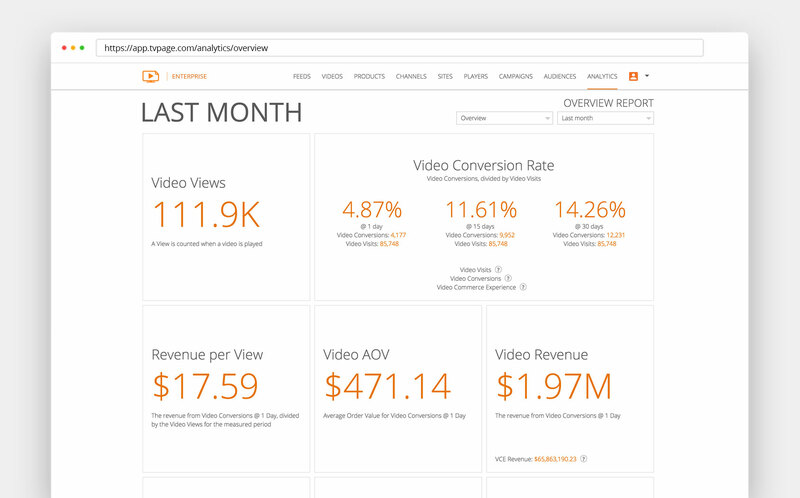 TVPage serves the video customer experience with built-in optimization capabilities, outputting insightful analytics in real-time for continued monitoring and optimization. Ultimately, TVPage empowers retailers to engage their customers at every point in the customer journey and create loyal customers for life. 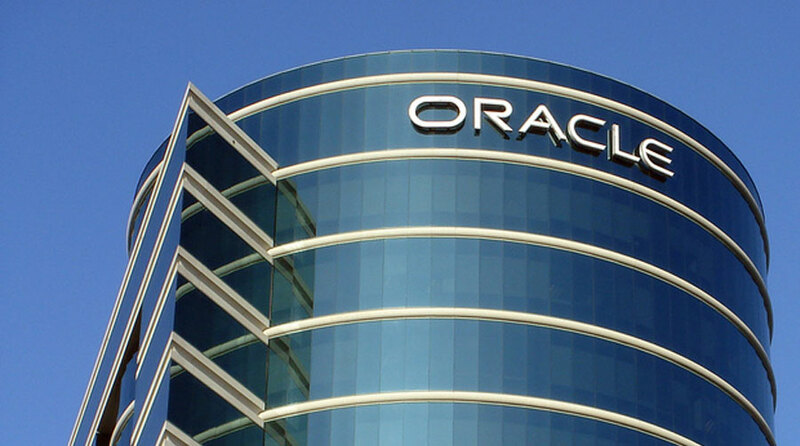 Oracle: Commerce Cloud is Oracle’s commerce platform for midsize and enterprise businesses. Its modern SaaS infrastructure emphasizes simplicity, allowing online businesses to quickly launch fully configurable, responsive storefronts. Retailers benefit from preintegrated core commerce features including: search/navigation, recommendations, promotions, reporting, payments, design templates, SEO, A/B testing and much more. With Commerce Cloud, online businesses can focus on innovation and building customer experiences that drive revenue and real business growth.